You may need to clear your app’s cache when the local database has become corrupt or has some erroneous data in it. This can happen when application upgrade fails, your computer has suddenly crashed or the computer hard disk is faulty or full. 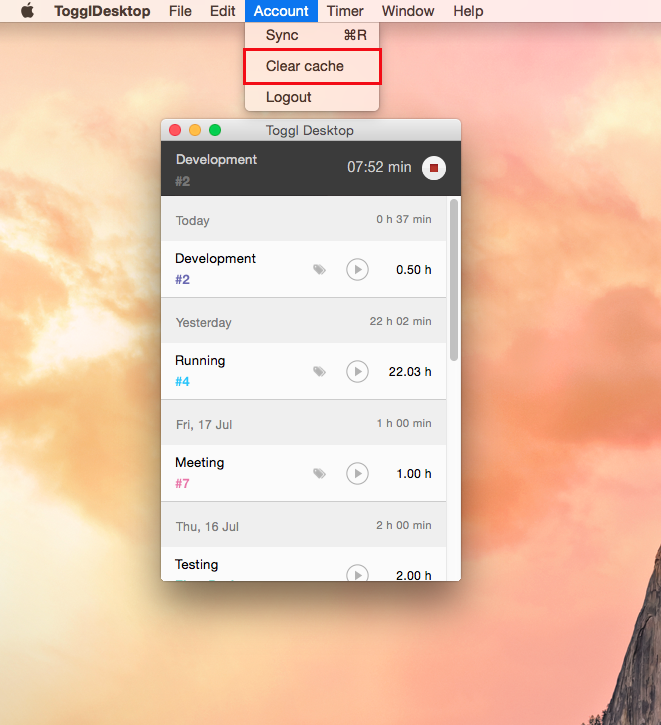 Please note that clearing the local data from Toggl Desktop deletes all of your unsynced data. If you’re unable to open the app, then you need to physically delete some files in order to flush the local database. 3. In the Finder window that opens delete every file and folder from within the Kopsik directory. 1. Using Windows Explorer navigate to: C:\Users\<username>\AppData\Local\TogglDesktop. The easiest way to open up the correct location is to copy %LOCALAPPDATA%/TogglDesktop into the Windows Explorer address bar and press Enter. 2. 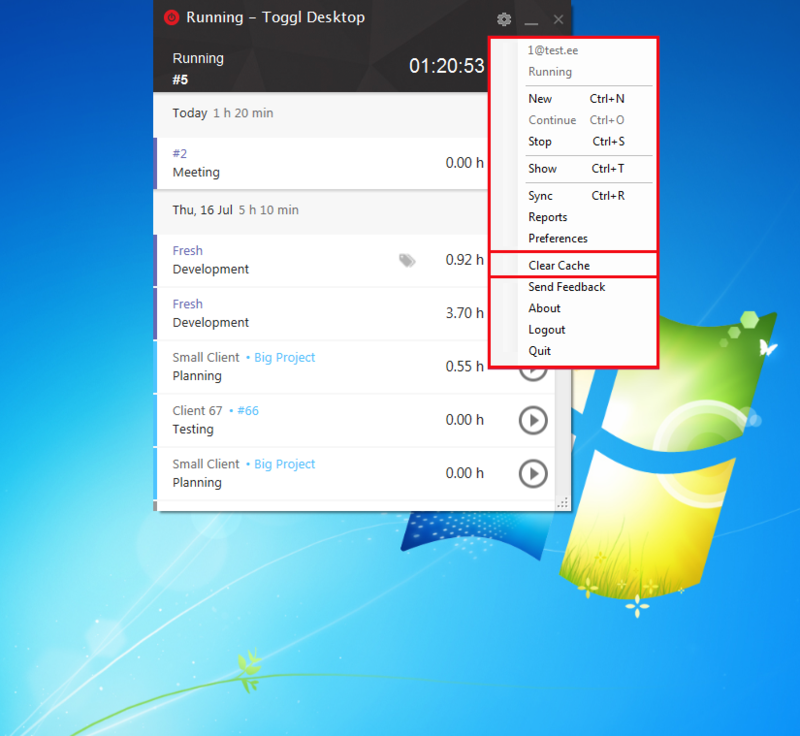 Remove the file named toggldesktop.db.